Congratulation for tour beautiful Album. (Edited to provide embedded image rather than just hyperlink) The always-interesting John F. Finerty (nearly) strikes again in his excellent "Pictures of Ireland", published in 1898. 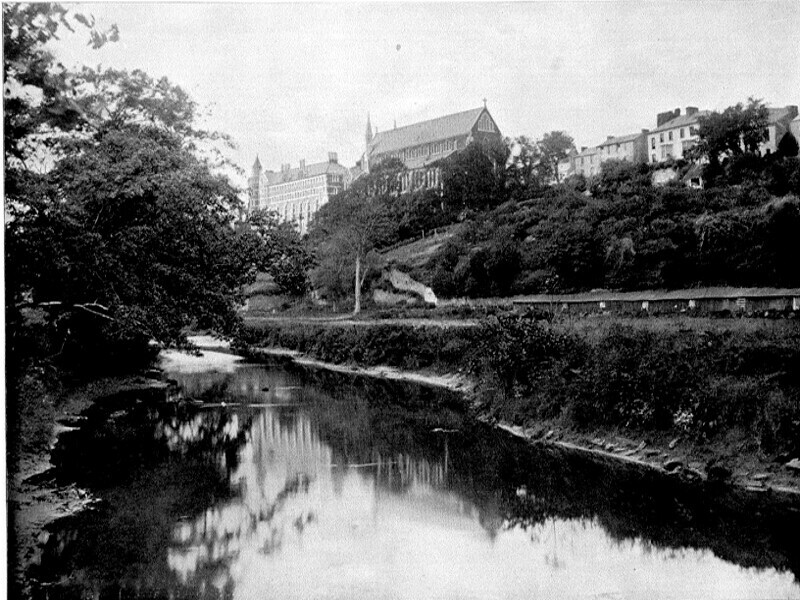 On page 300, he talks about St. Vincent's Church in Sunday's Well and provides this description to go along with the image: "ST. VINCENT'S CHURCH, SUNDAY'S WELL, CORK. 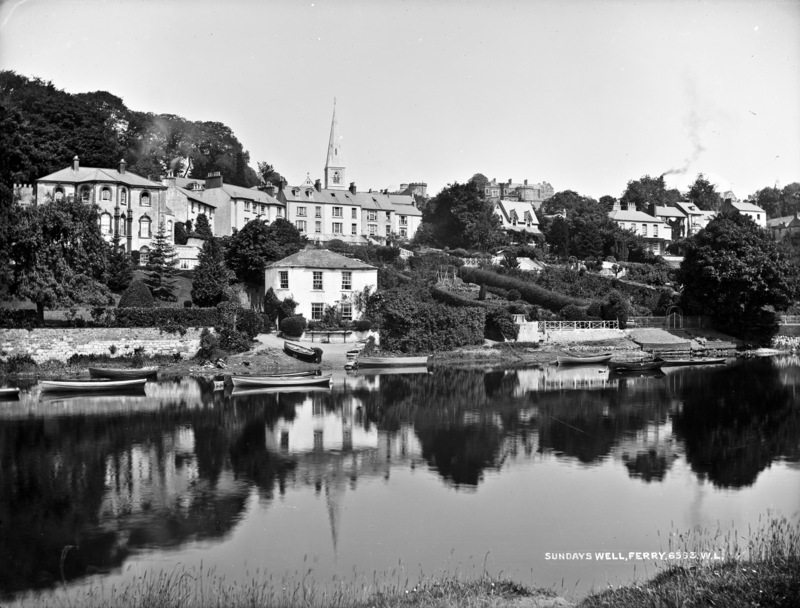 -The sketch shows, seated picturesquely on an eminence above the river Lee, the Catholic Church of St. Vincent, which is the principal ecclesiastical edifice in the suburb of the city of Cork, known as Sunday's Well. It is so called from an ancient spring, said to have been made sacred to Druid rites before the era of Christianity in Ireland, and afterward utilized by the Catholic Fathers for baptismal purposes. The spring contains water peculiarly clear and cold, absolutely devoid of mineral flavor, and is much prized by the inhabitants of the district. Owing to its fine situation, Sunday's Well was formerly much visited by the citizens of Cork, and many handsome homes existed there. The changes wrought by time, however, have not been favorable to the district as a fashionable residence locality, and the well-to-do people now build their dwellings elsewhere. Yet Sunday's Well is by no means abandoned, and the view to be obtained from the hill above the Lee, is regarded as one of the finest in the beauteous South of Ireland. There is a tradition to the effect that the gallant and ill—fated Lord Edward Fitzgerald resided, "on his keeping" in the vicinity, during the month of April, 1798. On his return to Dublin, he was captured, severely wounded and died in prison." [https://www.flickr.com/photos/[email protected]] I was just thinking, that's a very CoI looking steeple. Flickr is sometimes amazing! In 2015 via [https://www.flickr.com/photos/[email protected]/] [https://www.flickr.com/photos/[email protected]/22990622562/] [https://www.flickr.com/photos/mikeegee]'s grandfather's trees have grown! [https://www.flickr.com/photos/mikeegee] Gorgeous memories! Found these references in our Sources database.